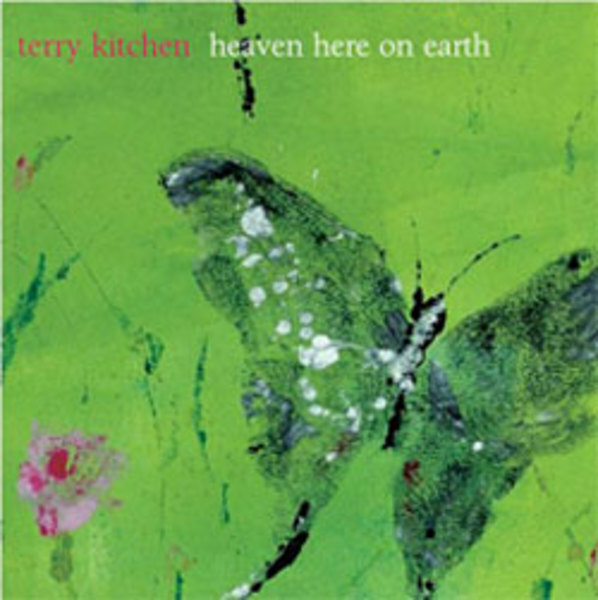 Terry Kitchen has finished his 8th CD "Heaven Here on Earth" with Dan co-producing. The album features some unusual arrangements including a stereo Zither intro and a String Quartet. 11 and a half songs about love, war and waitresses. Co-produced by Kitchen and Daniel Cantor (drummer for Jim's Big Ego), heaven here on earth is the most adventurous and energized of Kitchen's eight solo CDs. While still highlighting his literate, detail-rich songwriting, intimate vocals and deft guitar playing, the album features a full band on most tracks and a spirit that harkens back to Kitchen’s rock'n'roll past. With sounds ranging from accordion ("The Seven Eleven Overture") to autoharp (the title tune) to a string quartet ("Nothing Works Better") and players including Alizon Lissance, Jesse Flack, Annie Raines, Brice Buchanan (from Kitchen's '80s band Loose Ties) and Cantor, heaven here on earth is Kitchen's most fully realized recording to date. The beautiful cover print, "papilliones japonaise," is by Provincetown artist Christian Kozaki. Co-produced, mixed and recorded by Notable Productions. Drums played by Dan Cantor.